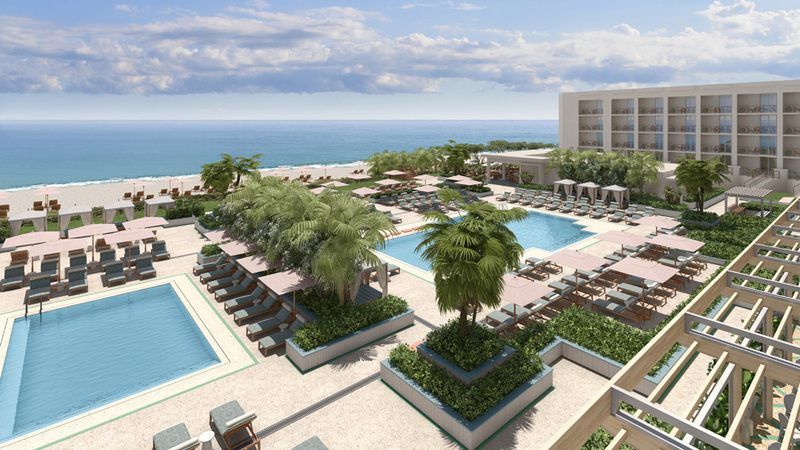 When restoring the Four Seasons Resort in Palm Beach, Florida, the project team employed construction management software (CMS) to improve jobsite coordination, reduce busywork, and streamline reporting. The exterior walls of the Four Seasons Resort in Palm Beach, Florida, was a water-damaged, faded façade and in desperate need of restoration. A $45-million renovation project was therefore undertaken to bring to life the vision of the resort’s owner, Nadim Ashi, who hoped to create a feeling of “elegance meets the beach” with new culinary offerings and a second outdoor pool. Ashi contracted Fuse Consulting Engineers (Fuse) for the design and engineering work on this project including all aesthetic, environmental, and structural issues. To do this successfully in just five months, Fuse employed construction management software (CMS) to improve jobsite coordination, reduce busywork, and streamline reporting. Fuse adopted new technology to communicate outstanding and completed consulting engineering work across four stories of renovation. Along with improving jobsite coordination, CMS eliminated the need for paper in the field, as all plans, files, forms, and photos could be accessed from any device. This improved productivity as well as saved time and money on printing revised drawing sets—a huge win for engineers, designers, and architects who waste valuable resources updating plans. Further, when newer sets of drawings are uploaded onto the software, they are automatically slipsheeted on top of older versions to ensure everyone is on the same page. Additionally, Fuse used CMS to simplify site inspections and reporting on the Palm Beach renovation project. Using a smartphone or tablet, engineers can walk through the site, drop a pin on a plan (to specify the exact location of a defect), add a description, and attach photos for context. Back in the office, an inspection report is generated in a few clicks, dated, time-stamped, and ready to be sent to relevant craftspeople on the project. This process took Fuse an additional 10 to 15 hours each week prior to implementing the field management technology. With thousands of deficiencies to keep track of across the jobsite, it was important for engineers and designers to supply as much context as possible to ensure the issue was understood and resolved quickly. Therefore, Fuse included searchable hashtags, checklists, categories, and priority levels on tasks so every issue could be found and critical information did not slip through the cracks. They organized deficiencies by ‘room number,’ added a hashtag, and assigned it a category (e.g. structural, glazing, or painting), and gave it to the right contractor on the project. Having an organized history of all deficiencies is important for consulting engineers when due diligence audits are conducted. If at any point Fuse is asked to explain a construction defect at the resort, the project team can access the task log to see exactly when an issue had been reported, to whom it was assigned, and what work had been (or not) done. In this way, CMS serves as an important source of truth, giving craftspeople full transparency into a project’s life cycle and serving as a reliable record in case of future disputes. The small team of innovative engineers at Fuse argues CMS for designers is well worth the investment, especially on million-dollar renovation projects like The Four Seasons Resort, Palm Beach.